1. You can get in. Really.College admission isn't as competitive as you might think. Fewer than 100 colleges in the U.S. are highly selective, which means they accept less than 25 percent of applicants. Close to 500 four-year colleges accept more than 75 percent of applicants. And open-admission colleges accept all or most high school graduates. 2. You are more than test scores.Colleges care most about the work you've done in high school. They look for students who have earned strong grades in challenging courses. They also try to learn about your character by looking at what you do outside the classroom. Take advantage of opportunities like the application essay and college interview to show a more complete picture of who you are. 3. You are in charge.This is your big future—you're in the driver's seat. Stay focused on what's important to you and what you want to get out of the college experience. College planning can feel overwhelming at times, but if you take charge and stay focused on your goals, you can make it work for you. 4. You are unique.You should base your choice on how well a college fits your needs. Don't worry about how it's ranked on a list or how famous it is. The effort you put in and the opportunities you take advantage of once you get there matter more than the college you go to. Once you graduate from college, your achievements and skills will matter most. 5. You are not in this alone.Family, teachers and friends are a great resource. 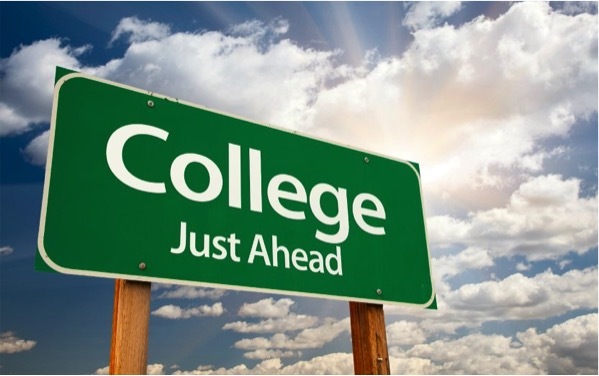 Discuss your plans to go to college with them and ask for help and advice. Make an appointment with a school counselor or your principal to talk about the application process, colleges that will suit you and options for financial aid.